Hey everyone! We are happy to introduce you to “A motivation for someone”. This song was originally called Stone but it’s now a new song, new name, new sound and it comes with a really cool new video. Enjoy! 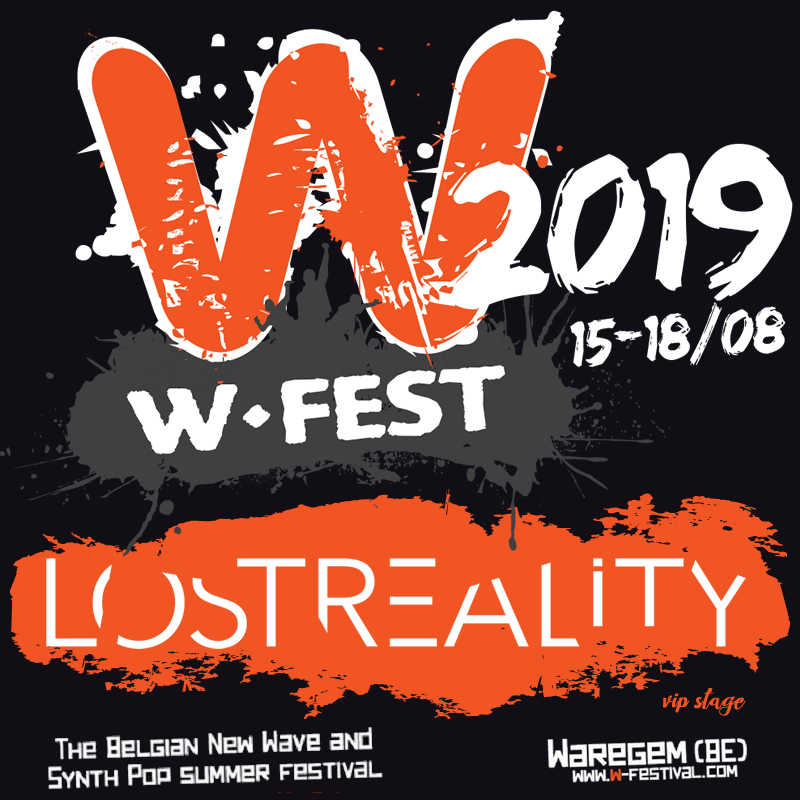 Lost Reality are confirmed to play (acoustic stage VIP) at the W Festival 2019 in Belgium! The W Festival 2019 lineup includes artists such as Killing Joke, The Stranglers, She Wants Revenge, And One, VNV Nation, Blutengel, Apoptygma Berzerk, Jimmy Somerville, Tony Hadley, The Human League, Echo & The Bunnymen, Nik Kershaw, Howard Jones and many more. 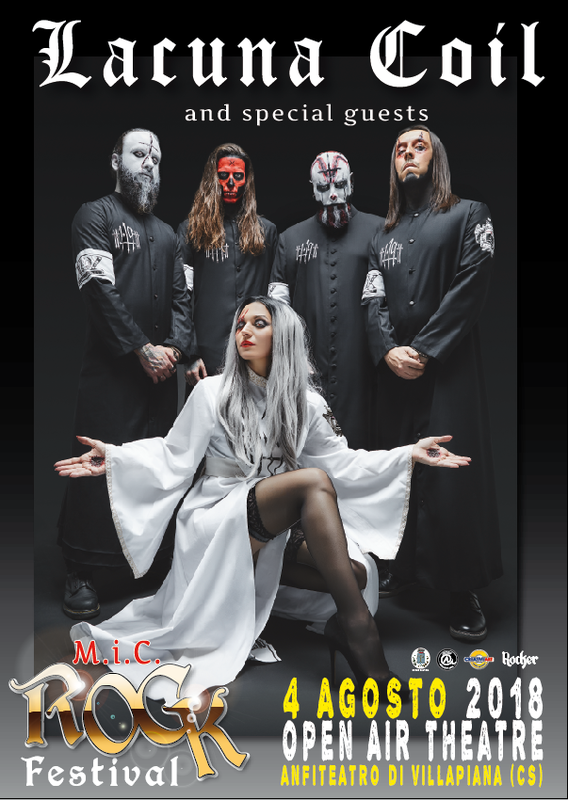 We are pleased to announce that we are confirmed for MIC Rock Festival at the Villapiana’s open air theatre on August 4th, with Lacuna Coil (plus more). It’s finally here! Check out our new video for “Black Celebration”! “Black Celebration (Lost Reality Version)” is a version of “Black Celebration” (Gore). 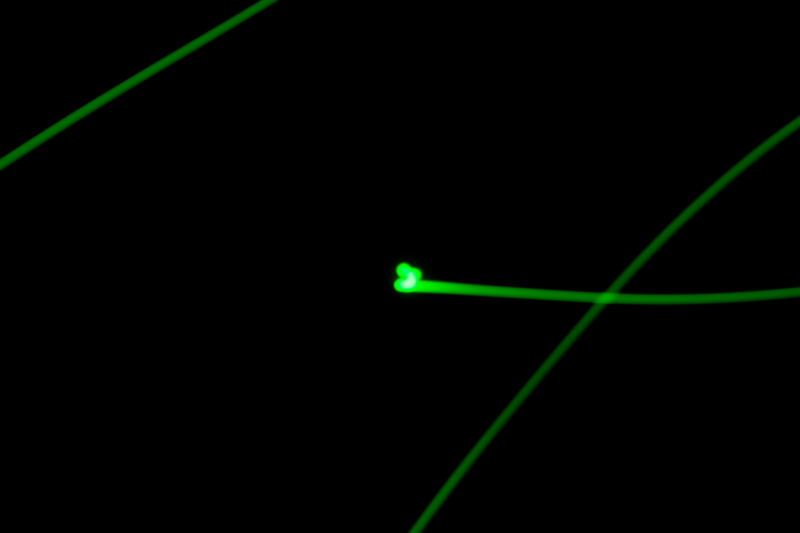 Here is our new song “The Grinder” taken from forthcoming EP “Pearls before swine”. Lost Reality recently remixed the song “Floating Island” by Last Movement. 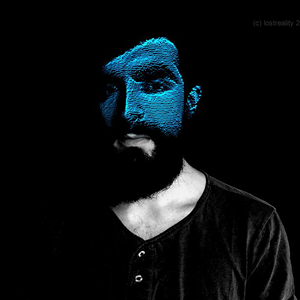 Fleeting Awareness (digital) for only 1 euro! Only for a limited time, we are selling our entire album “Fleeting awareness” (digital format) for only 1 euro! We are really proud to announce our new single “Stone”. We want to thank the radios in the UK that played Stone in the past few weeks and all the people that helped us in making this song. Can’t wait to hear what you think about it! We have started a fundraising campaign for our new EP called Pearls before swine. We need the support of everyone wants to be part of this project. Leave your contribution on the link below, where you’ll read about the project, and discover the rewards we choose for every donation. New EP Pearls before swine is coming soon. 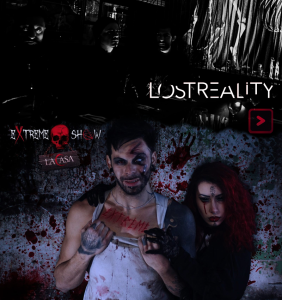 Collaborazione straordinaria per il nuovo spettacolo Extreme Show!!! 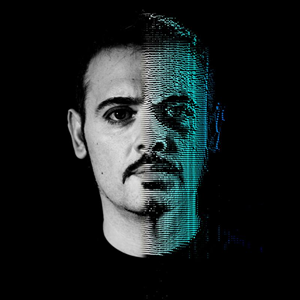 Le colonne sonore di tutto lo show saranno affidate ai Lost Reality. Presto pubblicheremo una pre-view della prima traccia! NON E’ MAI SUCCESSO IN ITALIA! Siamo malvagiamente orgogliosi di presentarti il nuovo Extreme Show! Una CASA DEGLI ORRORI itinerante dove il primo compito per i malcapitati sara’ avere il coraggio di entrare. Una volta dentro la CASA le porte d’ingresso si sbarreranno lasciandovi un’unica alternativa: arrivare fino alla fine! Ma se pensi che tutto sia finito qui, ancora non conosci bene la nostra mente perversa! Per dire di essere sopravvissuti all’esperienza, dovrete vedervela con le follie di Denis e l’oscura PRETTY PISTOL in uno show che andra’ oltre l’immaginazione piu’ contorta. E tu, avrai il coraggio di varcare la soglia? We are so so proud to announce that we have won the The Akademia Music Awards in Los Angeles for Best Alternative Rock / Pop Song for “Perfect Passion” in the June 2016 Akademia Music Awards! 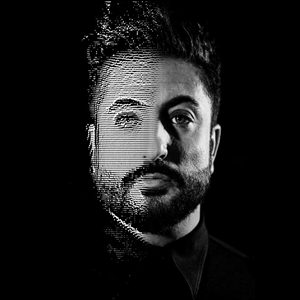 The winners were selected by a judging panel of music industry professionals who reviewed hundreds of song entries for consideration of the accolades. Very excited about the opportunities to come. We are very thankful to be where we are at right now and we appreciate all our fans very much. Hi everyone, we have a good news to share with you. We have confirmed with Symptomatic Presents two new dates in London! More details about these shows will follow soon! Sit back, put on your best headphones, and enjoy. 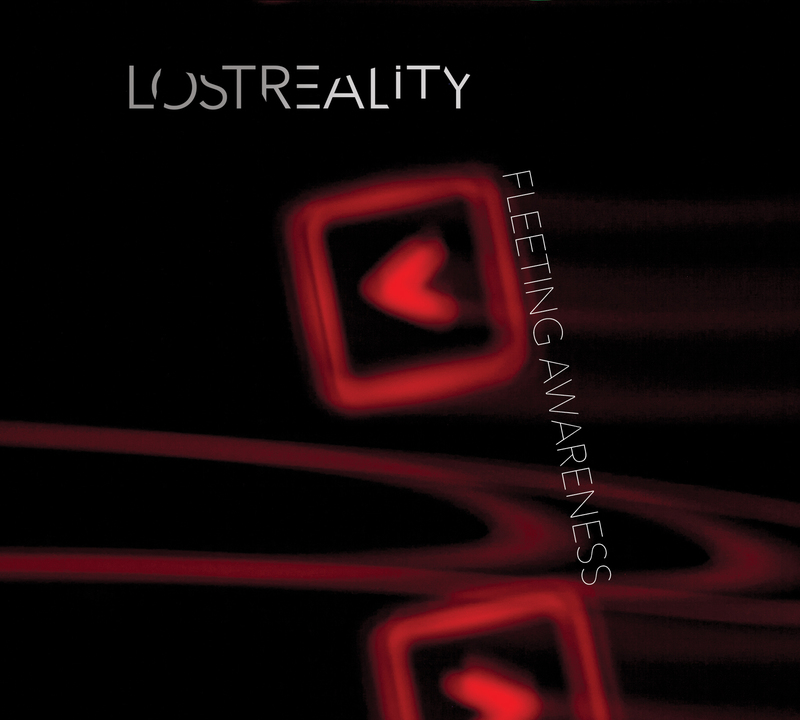 Lost Reality’s new album “Fleeting awareness” is out now. 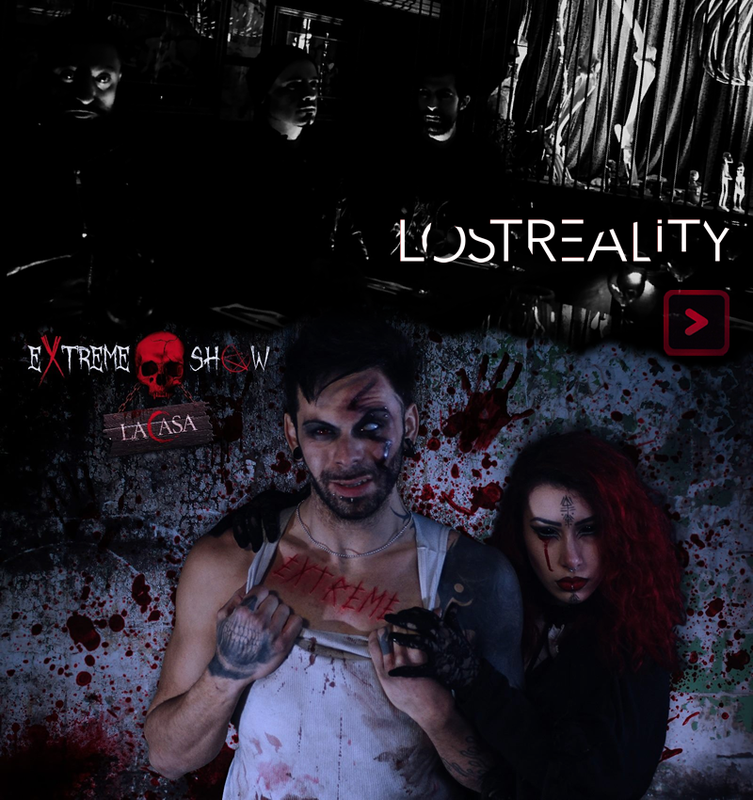 Lost Reality is a project which dates back to 1996 and has undergone a radical evolution over time. Over the last years the band is settled into its current electro rock/alternative 3-piece lineup. The band were featured in many of compilations and magazines (PSYCHO, Gothic Magazine, Nachtaktiv Magazin), in radios and tv shows (Demoltion, Database, Salaprove, Rock TV Tour, Rock TV Night and Rock TV’s, On The Road) and was finalist or won national and international music competitions (I-Tim tour, Diesel U). 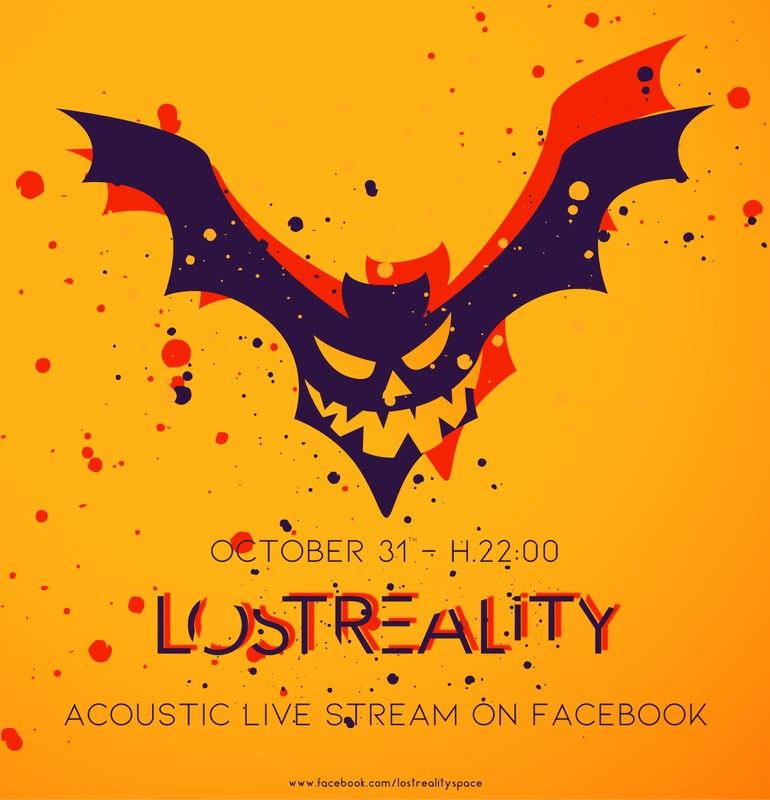 Lost Reality have supported amongst others Clan of Xymox, Richie Kotzen (ex Mr.Big), Litfiba, Negramaro and Eiffel 65. 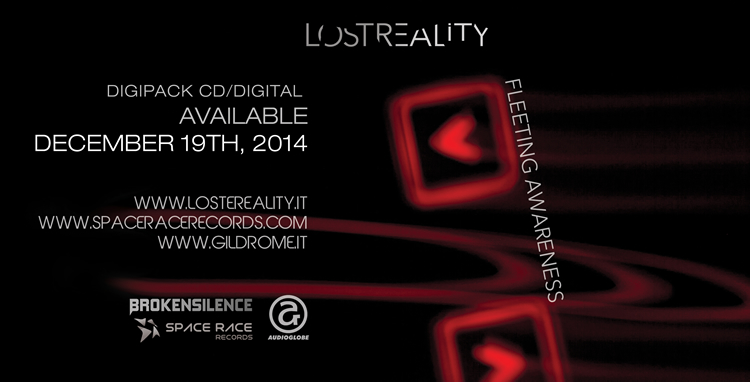 The forthcoming album “Fleeting Awareness”, is due for release on december 19th, 2014.